Happy smiling faces and beautiful flat felt! I had a lovely weekend filled with fun, felt and friends both old and new. Here are two pictures that sum things up, firstly Jack and Denis with their beautiful felt pictures from Duckett’s Grove on Saturday and then the ladies from Killoughternane Social Club with their fabulous felt from Sunday. Thanks Anna for organising such a great workshop, the food at lunch was fantastic too and I look forward to returning for a felt jewellery session before Christmas!!! 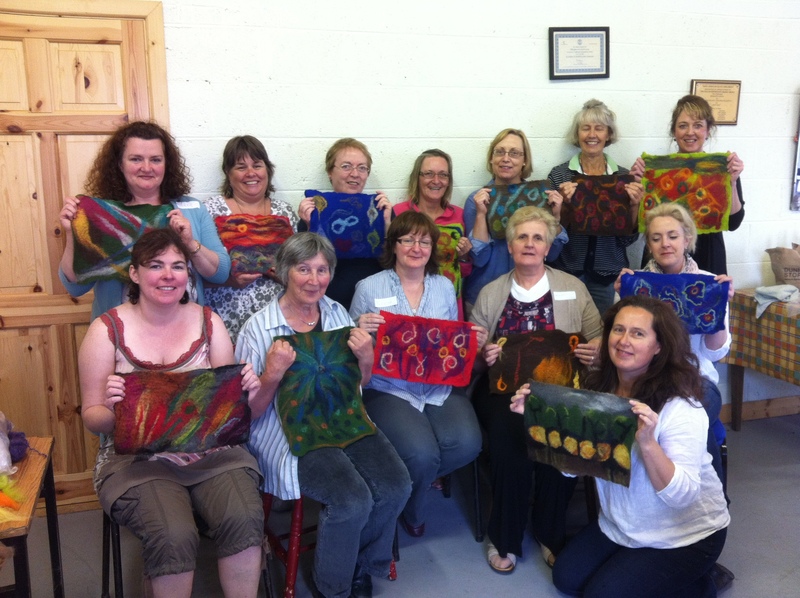 What a creative and fun group of ladies! This entry was posted in Felt, workshops and tagged Duckett's Grove, Felt, felt class, felt classes, felt workshops, felting workshops, flat felt, Killoughternane by Nicola. Bookmark the permalink. Am l loving all the smiling faces Nicola! Lovely pix, lovely work! Nothing like a felt picture to cheer you up and the pride in making one yourself is amazing isn’t it? The smiles on the faces are proof enough of that. 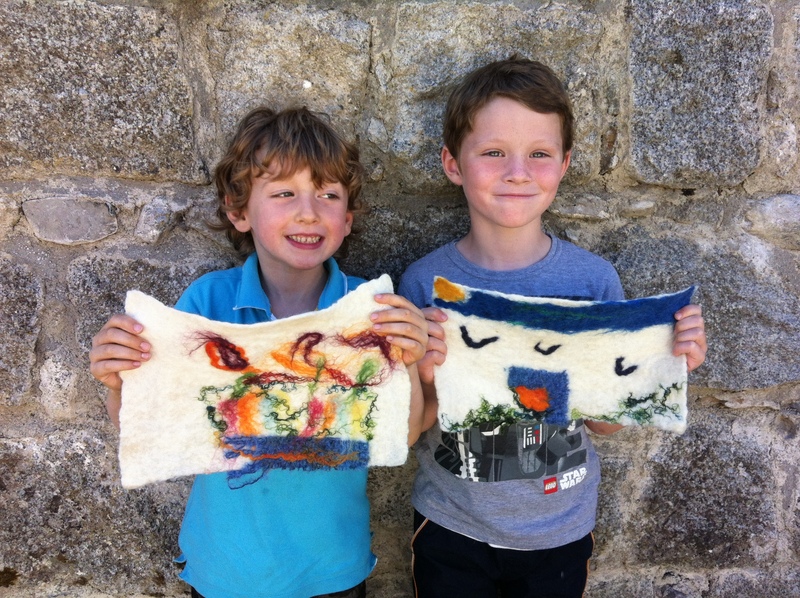 Wool felt is a true gem to discover and joy for all ages. The little boys are so creative to have made the beautiful pictures. All cheerful faces to show their art pieces.